Volkswagen T6 Camper Van from Big Blue Sky Camper Conversions based in Leics Midlands, fitted with RIB SCA to this short wheel base Tailgate. 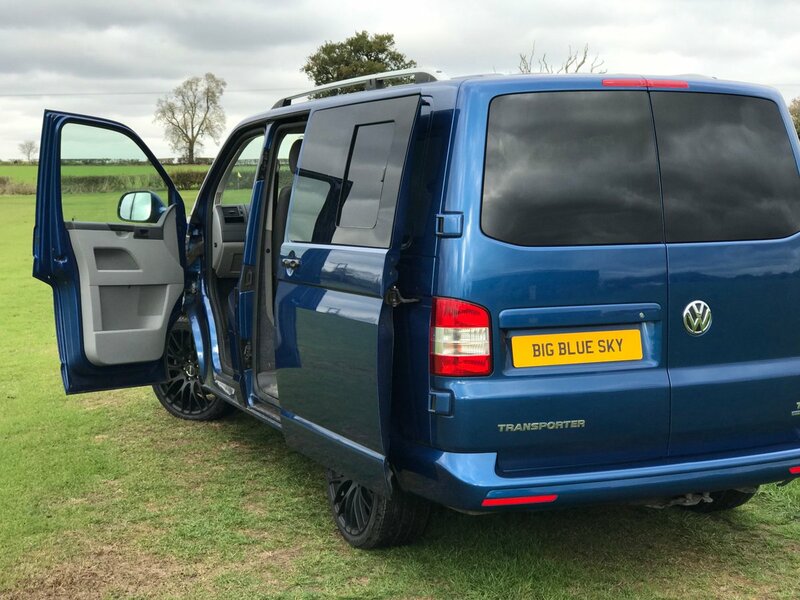 Ever popular Volkswagen T6 Camper Van conversion with Air conditioning, Cruise control, Blue Motion technology and Blue Tooth sound system. This is Big Blue Sky Campers` demo camper van converted from a Black Metallic Volkswagen Trendline T6 base vehicle. This camper comes complete with an SCA 194 high lift elevating pop top roof. We have installed a RIB Altair crash tested bed with slider and integrated headrests, and being an approved installation specialists you can rest assured that this is the safest possible seat for your camper van. The front passengers seat is a double, and comes complete with a crash tested swivel plate. The gas locker is metal lined and serves the Smev 9222 gas hob and sink combi. There is also a Dometic compressor fridge complete with removable freezer compartment, with black wrap to the door. 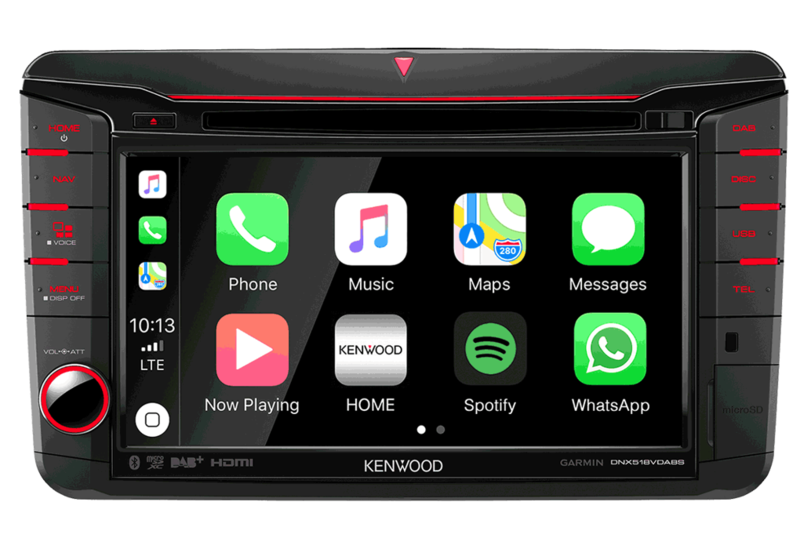 Sargeant electrical system and fully fitted leisure battery charging system for the VW T6 stop start technology have been installed, this ensures correct charging of the leisure battery for the Blue Motion system. In addition the habitation area of the conversion benefits from full carpet lining and insulation, Altro non slip flooring, upgraded Kombi steps, limo tint windows including slider to kitchenette side. Kitchenette is manufactured in Superva lightweight furniture which is scribed to the van and CNC crafted in house. There is a foldaway table in matching Superva furniture board. Lots of storage space which includes a Tambour door for easy access. We have fitted Brand new 18″ load rated Tourer alloy wheels which add the finishing touch to the overall appearance of this superb camper. 12 month habitation warranty, and balance of VW Warranty on the vehicle. The camper van is HPI Clear, and finance is available.